Drawing on 40 years of his own experience -- and noting that last year was OSHA's 40th anniversary -- well-known ergonomist Dan MacLeod presents his vision for OSHA reform, particularly when it comes to ergonomics. "During this time, OSHA generated striking improvements in working conditions, but has to my mind been simultaneously plagued by its approach to enforcement ... My experience gives me a sense of optimism that there are better ways to regulate industry. The premise of ergonomics is that with good design we can simultaneously improve human well being and increase overall efficiency. I suspect this principle applies to Federal regulations and agencies as much as it does to powered hand tools and production lines." This year marks the 40th anniversary of the start of the Occupational Safety and Health Administration (OSHA), and not coincidentally, the 40th anniversary of my career in workplace safety and health. During this time, OSHA generated striking improvements in working conditions, but has to my mind been simultaneously plagued by its approach to enforcement. The problems were brought to a head with the ill-fated OSHA Ergonomics Program Management standard in 2000. 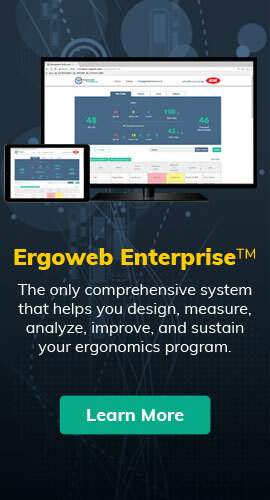 Ironically, ergonomics is all about innovation and we missed a golden opportunity to try something new. Fortunately, we can still try. The background to my view is the experience that I’ve had working with both management and labor in a variety of industries. Through the years, I have had the opportunity to help develop new models for problem-solving in order to more effectively make changes on the shop floor. These innovations have shown that it is readily possible to improve employee well-being while simultaneously cutting costs for employers. My experience gives me a sense of optimism that there are better ways to regulate industry. The premise of ergonomics is that with good design we can simultaneously improve human well being and increase overall efficiency. I suspect this principle applies to Federal regulations and agencies as much as it does to powered hand tools and production lines. The debacle of the OSHA ergonomics standard revealed a dilemma that can only be resolved with a new model of enforcement. The standard could conceivably have saved industry billions of dollars by preventing costly Musculoskeletal Disorders (MSDs) and by improving quality and efficiency that come with good ergonomics. Yet, despite these benefits, Congress took the extraordinary step in 2001 of vacating that standard, responding to overwhelming complaints from industry. The repeal marked the first use of the Congressional Review Act by Congress, which in itself points to the significance of the issue. The debates leading to that vote and its aftermath were filled with acrimony and indignation. But, in fact, the battle lines were drawn around the wrong terrain. The underlying issue was not ergonomics or MSDs at all. Rather, it was OSHA itself and the limits of the traditional regulatory model. In reality, the OSHA ergonomics standard was simply not enforceable given the framework for regulation that has developed in the U.S. during the 20th Century. The considerations that must be taken into account to prevent MSDs in virtually every workplace in America are too complex for a single traditional standard. Yet broad program guidelines are too vague to be able to draw a clear distinction between being in compliance or not under the current system. The agency successfully highlighted the whole issue of insidious chemicals, dusts, and fumes at a time when many of these hazards were generally unrecognized. Employers began to formalize their safety practices, institute systematic processes for hazard recognition and control, and upgrade training of all personnel. Employers also dramatically increased their recruitment of professionally trained experts to head these efforts. Consequently, today there is a substantial corps of dedicated safety and health professionals in industry that makes the efforts of 40 years ago look rather limited. Knowledge about hazards among workers and managers alike is much elevated. And most important of all, actual conditions are unarguably better. The agency’s successes provide a starting point for a review of the regulatory premises for OSHA. The facts on the ground are different now than in 1970 and the rules of engagement need to be changed. A more problematic issue is that whole industries often never know where they stand on the interpretation of key standards. There are few mechanisms currently for an industry group to sit down ahead of time with OSHA and clarify expectations. One simply waits for an OSHA inspector somewhere to cite a company and then see what happens. I have personally been involved implementing several major OSHA settlement agreements. Each of these serves as a case study of the positive and negative effects of OSHA. In some cases, the effect has been quite paradoxical in that OSHA simultaneously helped and hurt the effort to reduce workplace hazards. These situations help best of all to illustrate why a new model is needed and provide insight into what that model would involve. It’s time for a 40-year check at the Federal level. In 1973, just three years after the establishment of OSHA, the contract negotiations between the United Auto Workers union (UAW) and the Big Three automakers led to the establishment of joint union-management safety and health programs.3 The eventual impact was a huge turnaround in relationships — from bitter adversarial ones that can only be described as “lose-lose” to ones that fostered effective joint problem-solving and even mutual respect. These successful efforts in worker health and safety led to joint programs on other issues. In many ways, there has been a parallel effort in non-union companies, i.e., the vast majority of workplaces. In the past few decades, much of American industry has invested heavily in quality improvement and process improvement, both of which entail a fundamental change in management philosophy. Life on the workplace floor is radically different now from 35 years ago, including a much greater willingness on the part of management to listen to employees and to be concerned about their well-being. A final, intriguing bit of evidence is that many American companies use the same internal safety standards and processes in their plants in Mexico and China as they do at home. From personal observation, the physical working conditions are in fact equivalent to, or in cases better than, those in the U.S. Furthermore, internal corporate safety audits show equally good scores for plants at home and abroad. The effect is that American employers are exporting a culture of workplace safety. These positive trends affect how OSHA should go about its day-to-day business. The business environment is different from decades ago. Moreover, these encouraging developments provide hope that fundamentally better systems can emerge. The experience of the slaughter industry also deserves to be documented more thoroughly in this light. To some extent, this experience shows the traditional OSHA model working at its best; that is, intrusive inspections and multi-million dollar fines forced a change in a high-injury industry that was led in some cases by recalcitrant managers. However, the experience also shows the value of several alternative approaches, the most important of which was the development of the landmark Ergonomics Program Guidelines for the Meat Industry. This was the first attempt by OSHA at developing guidelines for the prevention of MSDs. The guidelines were voluntary and more or less extra-legal. Of particular note, OSHA representatives in meetings with the industry verbally articulated their expectations very clearly and acceptably. However, they were unable to reproduce these statements in writing, even as a preamble to the guidelines. In the end, the industry did improve dramatically. The trade association (the American Meat Institute – AMI), played an extraordinarily valuable role in moving the whole industry forward. The AMI’s example provides part of the model for an alternative to traditional regulatory practice. The impact of the workers’ compensation system as an alternative to government regulation should also be taken into account. Currently, many large self-insured employers are often more concerned about these costs than they are about OSHA. Furthermore, these companies have good experience in controlling costs by implementing meaningful safety programs to reduce injuries. Thus, to a great extent the workers’ compensation system provides a market force to encourage safe workplaces. Unfortunately, the market does not always work. Small employers have less ability to affect these costs. Furthermore, some work-related disorders, such as long-term diseases from chemical exposure, are not always captured in the compensation system. The market also fails to a great extent because of imperfect information, that is, employers do not always know the steps necessary to reduce these costs. The point is that market forces can work and, with creative adaptations, could be harnessed even further to provide incentives to eliminate hazards. More broadly, the workers’ compensation system is one of the few long-established examples of a way to correct a “market externality,” to use the term of the economists. This system has profound implications as an alternative to regulation in general and deserves considerable more attention in policy debates. The unsuccessful OSHA Reform Act of 1997 was instigated by political forces that were more interested in gutting the agency than making it effective. However, some of its provisions were valid, such as the expansion of training and voluntary compliance programs. Much can be learned from the experience of other countries, in particular Sweden, Australia, and to some extent Canada. Sweden especially is worth studying, since it tends to lead the world on workplace safety, but their equivalent of OSHA is unobtrusive and hardly ever engages in citations and fines. Australia publishes detailed Codes of Practice that provide guidance to industry, apparently without leading to overzealous enforcement of insignificant details. These countries obviously operate within a different legal and judicial framework. However, adaptations of certain practices can undoubtedly be included in identifying a new model for the U.S. Many organizations need the authority of a standard to institute change and invest in better equipment. Company safety directors often like to point to standards and guidelines to provide authority for needed improvements. A particular case is the government employer, which is often unable to make any changes without a standard. Market forces often fail for reasons such as the limited ability for small employers to directly affect their insurance premiums and the difficulty in capturing the costs of some long term diseases. Finally, there are undoubtedly some malfeasant employers who will never invest in worker safety unless forced. Thus, the goal is to identify alternatives, not simply stop regulation as some of the worst critics of OSHA have suggested. The benefits of regulation need to be illustrated as well as the shortcomings. OSHA is broken, despite many important successes. Expanding on the trends and elements summarized above can lead to a vision of a new process for the enforcement of safety and health regulations. Legislation, agency administrative practices, the workers’ compensation system, and industrial relations are all affected. There is an opportunity to try something new, one that has implications far beyond workplace safety. Workplace safety is one of the oldest examples of government regulations, dating to the British Factory Acts in the early 1800s. It is only fitting that workplace safety be the focus for an alternative approach to regulation leading into the 21st Century. Dan MacLeod is one of the pioneers of the contemporary field of workplace ergonomics and one of the leading ergonomics consultants in the world today. For over 30 years, national and international companies have sought Dan’s innovative approaches to program development, workplace improvements, and on-site training. Dan's success has increased efficiency, prevented thousands of injuries, and saved employers millions of dollars. These problems and their potential solutions are not restricted to OSHA. See Phillip Howard, Death of Common Sense, 1995 and commongood.org. Restoring responsibility among regulators rather than blind adherence to petty details is a key element of a new model. I was hired by the UAW at the time to implement these agreements. I was retained by the trade association to help with the overall effort to improve plant conditions. I drafted a set of internal guidelines that were accepted by the industry prior to our knowledge of OSHA’s plans for guidelines. The industry document addressed every key point that was later raised in OSHA’s document. However, OSHA’s first version was written in the style of the Federal Register and had the appearance of being very formidable. I suggested to OSHA that they rewrite their document in plainer language and make it look less like a regulation. This proved to be an innovation for OSHA and it worked.